Mary Ann is a brilliant academician and a great pro-lifer. So when Prof. Glendon wrote a piece Tuesday for the Wall Street Journal headlined, “Why the Bishops Are Suing the U.S. Government,” I paid close attention. In 1994, she was appointed by Pope John Paul II to the newly created Pontifical Academy of Social Science; she was appointed president of the Academy in 2004. Prof. Glendon received her B.A., J.D., and master of comparative law degrees from the University of Chicago; she also has received honorary doctorates from several universities. Other accomplishments include authoring numerous books, heading the delegation of the Holy See to the U.N. Fourth World Conference on Women in Beijing, and serving on the U.S. President's Council on Bioethics. Glendon is a member of the American Academy of Arts and Sciences, the International Academy of Comparative Law, and a past president of the UNESCO-sponsored International Association of Legal Science. 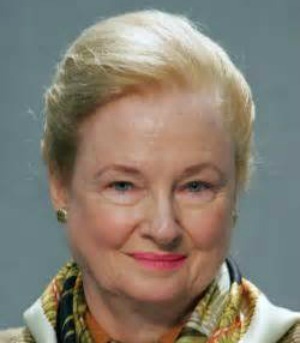 She served two terms as a member of the U.S. President's Council on Bioethics (2001-2004), and has represented the Holy See at various conferences including the 1995 U.N. Women's conference in Beijing where she headed the Vatican delegation. Glendon has contributed to legal and social thought in several widely translated works, bringing a comparative approach to a variety of subjects. They include The Forum and the Tower (2011), a series of biographical essays exploring the relation between political philosophy and politics-in-action; Traditions in Turmoil (2006), a collection of essays on law, culture and human rights; A World Made New: Eleanor Roosevelt and the Universal Declaration of Human Rights (2001), which the New York Times reviewer said should be the definitive study of the framing of the UDHR; A Nation Under Lawyers (1996), a portrait of turbulence in the legal profession, analyzing the implications of changes in legal culture for a democratic polity that entrusts crucial roles to legally trained men and women; Rights Talk (1991), a critique of the impoverishment of political discourse; The Transformation of Family Law (1989), winner of the legal academy’s highest honor, the Order of the Coif Triennial Book Award; Abortion and Divorce in Western Law (1987), winner of the Scribes Book Award for best writing on a legal subject; The New Family and the New Property (1981), and textbooks on comparative legal traditions. "Mary Ann did a magnificent job. Her superb personality came across in her presentation. She was authentic, caring, engaging -- we one would expect of a high profile speaker. We made the right choice."